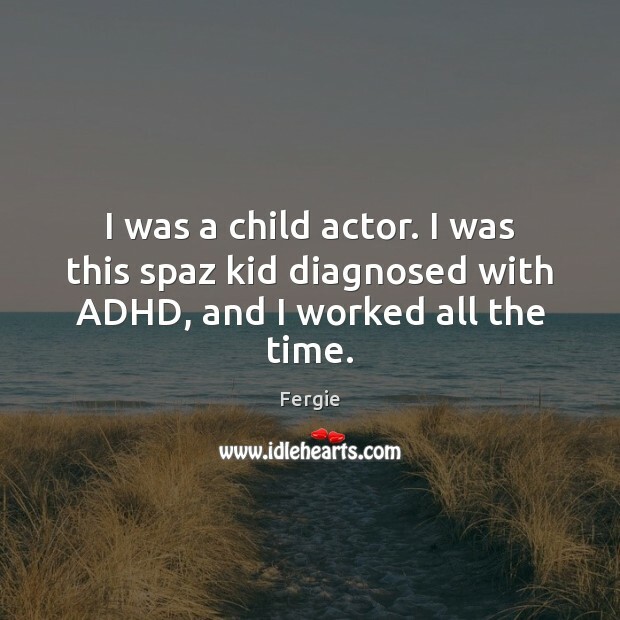 Quotations about Adhd. Quotes to stimulate mind and drive action! Use the words and quote images to feed your brain inspiring things daily! 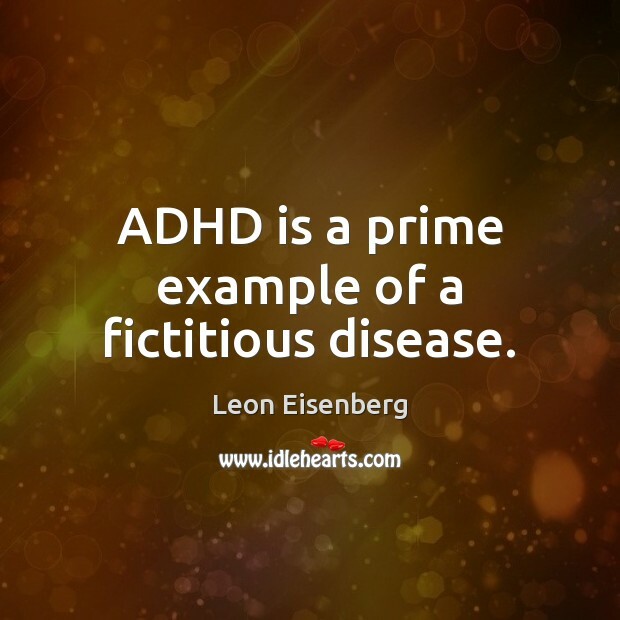 ADHD is a prime example of a fictitious disease. 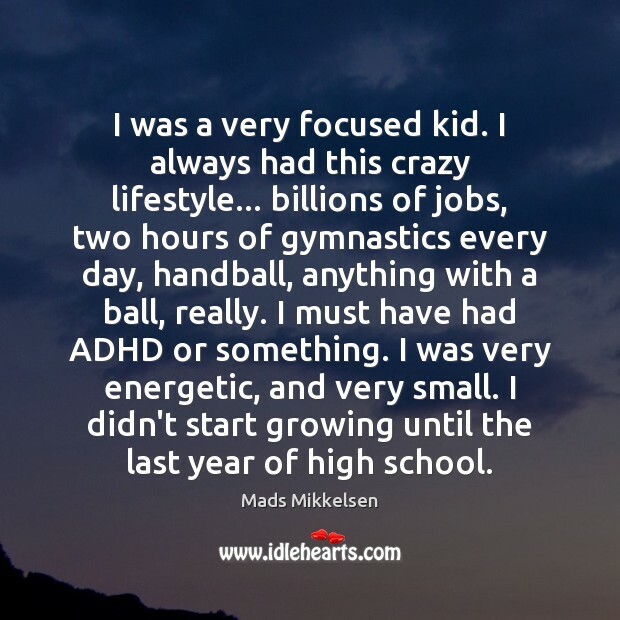 I have late onset ADHD. 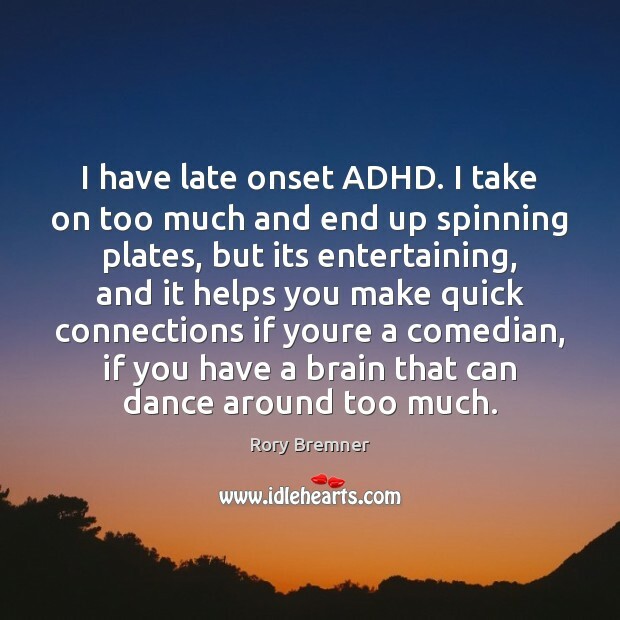 I take on too much and end up spinning plates, but its entertaining, and it helps you make quick connections if youre a comedian, if you have a brain that can dance around too much. 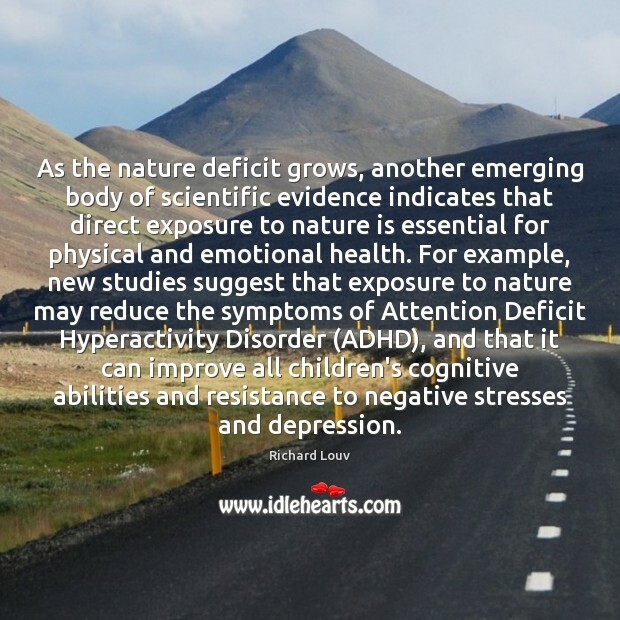 As the nature deficit grows, another emerging body of scientific evidence indicates that direct exposure to nature is essential for physical and emotional health. 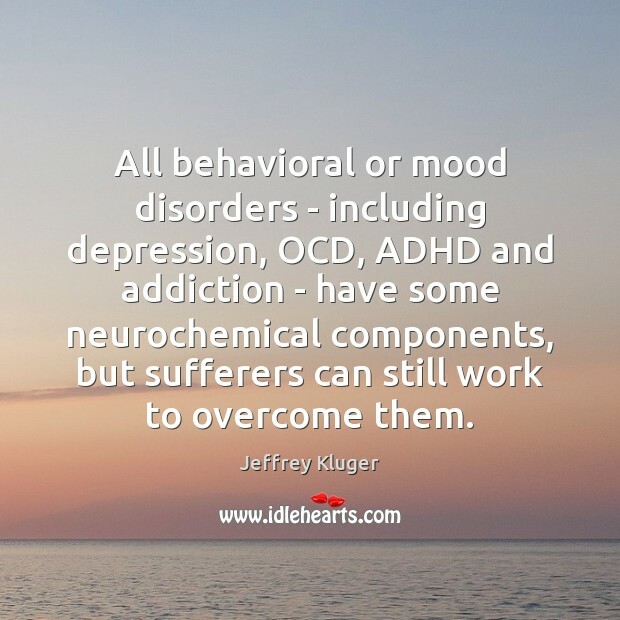 For example, new studies suggest that exposure to nature may reduce the symptoms of Attention Deficit Hyperactivity Disorder (ADHD), and that it can improve all children's cognitive abilities and resistance to negative stresses and depression. 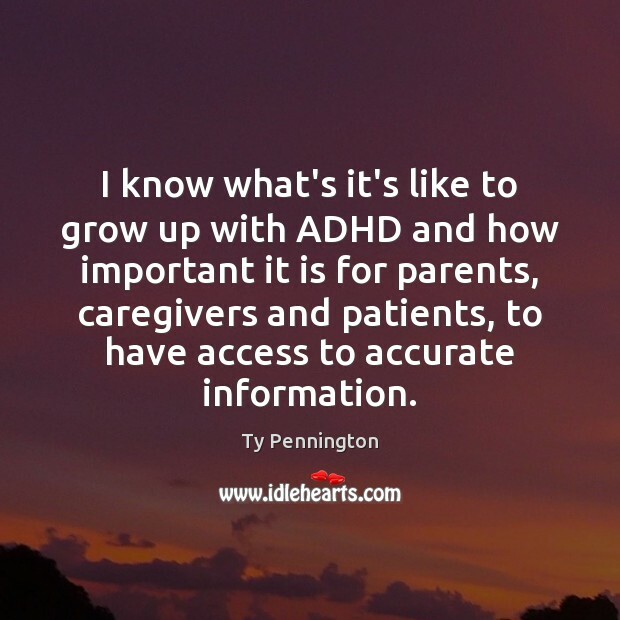 I know what's it's like to grow up with ADHD and how important it is for parents, caregivers and patients, to have access to accurate information. Hades raised an eyebrow. When he sat forward in his throne, shadowy faces appeared in the folds of his black robes, faces of torment,as if the garment was stitched of trapped souls from the Fields of Punishment, trying to get out. The ADHD part of me wondered, off-task, whether the rest of his clothes were made the same way. 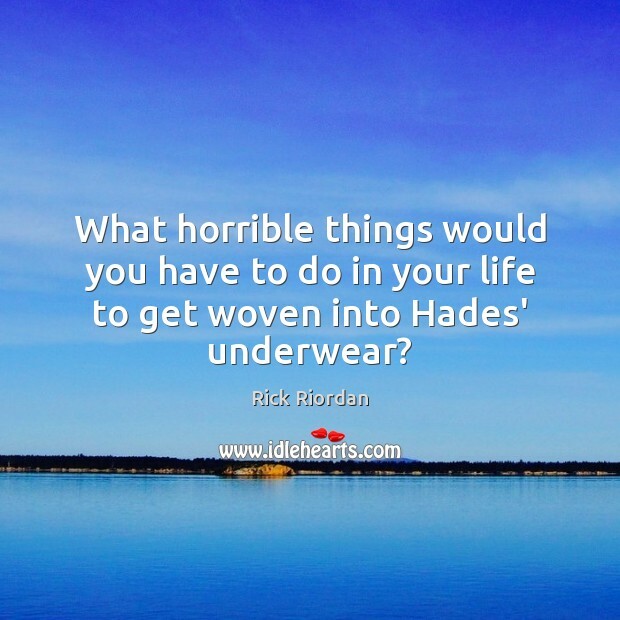 What horrible things would you have to do in your life to get woven into Hades' underwear? One of the places where research is needed is all the sensory problems. 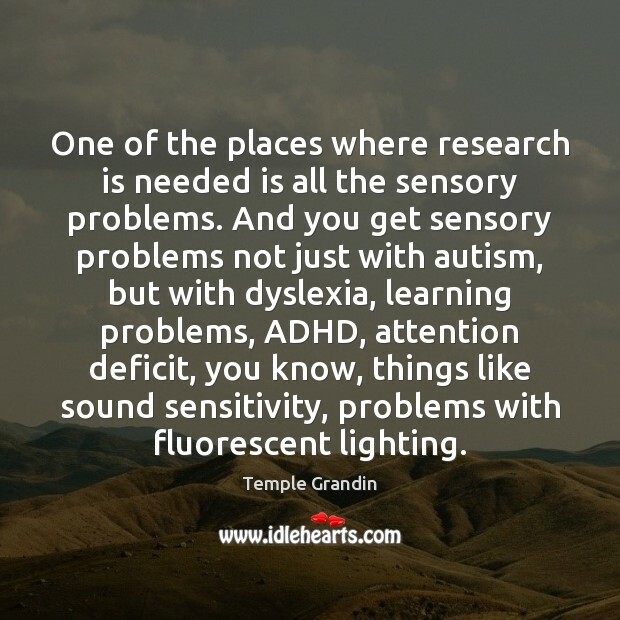 And you get sensory problems not just with autism, but with dyslexia, learning problems, ADHD, attention deficit, you know, things like sound sensitivity, problems with fluorescent lighting. 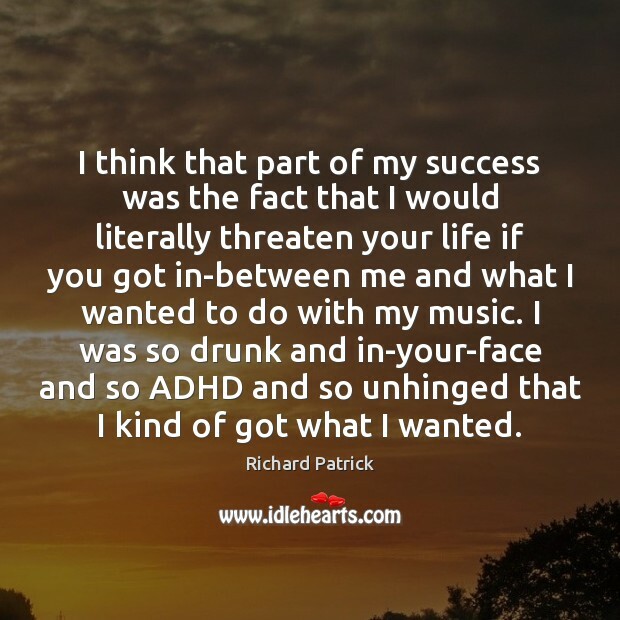 I think that part of my success was the fact that I would literally threaten your life if you got in-between me and what I wanted to do with my music. I was so drunk and in-your-face and so ADHD and so unhinged that I kind of got what I wanted. 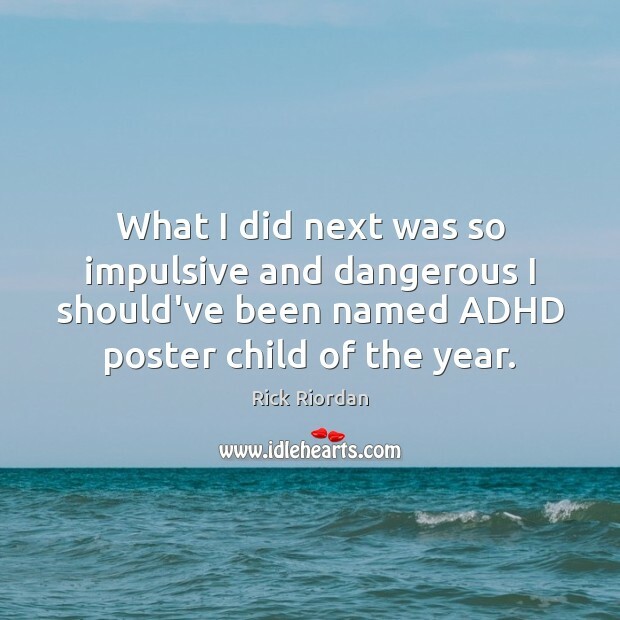 What I did next was so impulsive and dangerous I should've been named ADHD poster child of the year. Most helmsmen would’ve been satisfied with a pilot’s wheel or a tiller. 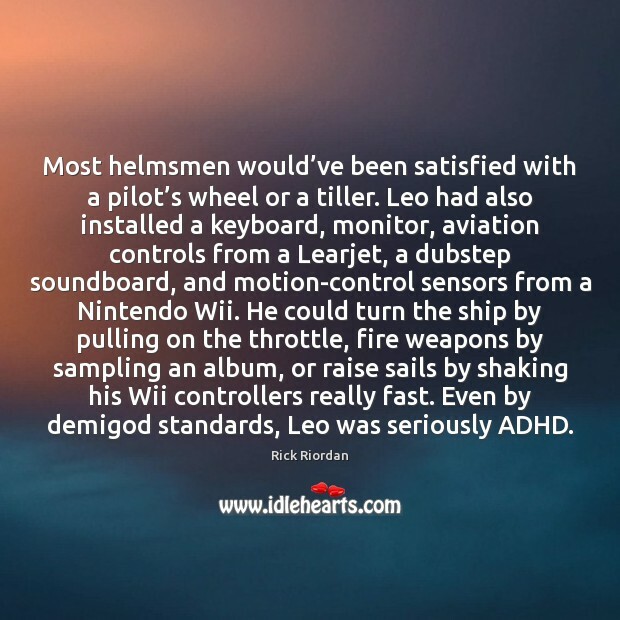 Leo had also installed a keyboard, monitor, aviation controls from a Learjet, a dubstep soundboard, and motion-control sensors from a Nintendo Wii. He could turn the ship by pulling on the throttle, fire weapons by sampling an album, or raise sails by shaking his Wii controllers really fast. 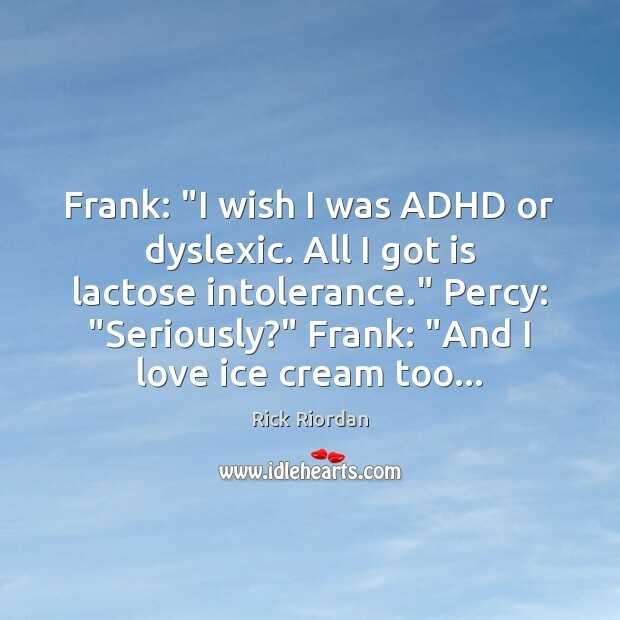 Even by demigod standards, Leo was seriously ADHD. 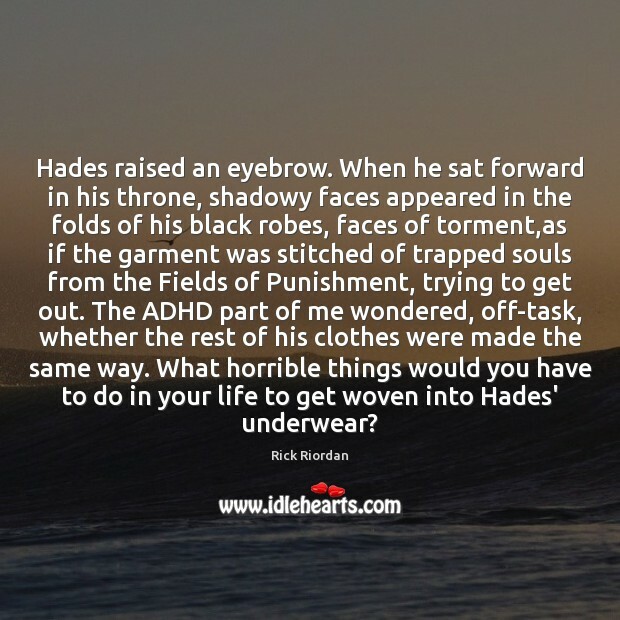 What horrible things would you have to do in your life to get woven into Hades' underwear? 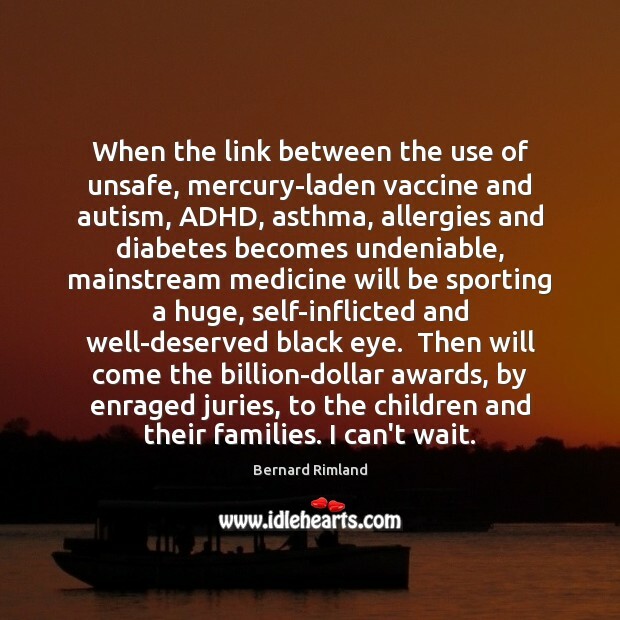 When the link between the use of unsafe, mercury-laden vaccine and autism, ADHD, asthma, allergies and diabetes becomes undeniable, mainstream medicine will be sporting a huge, self-inflicted and well-deserved black eye. Then will come the billion-dollar awards, by enraged juries, to the children and their families. I can't wait. 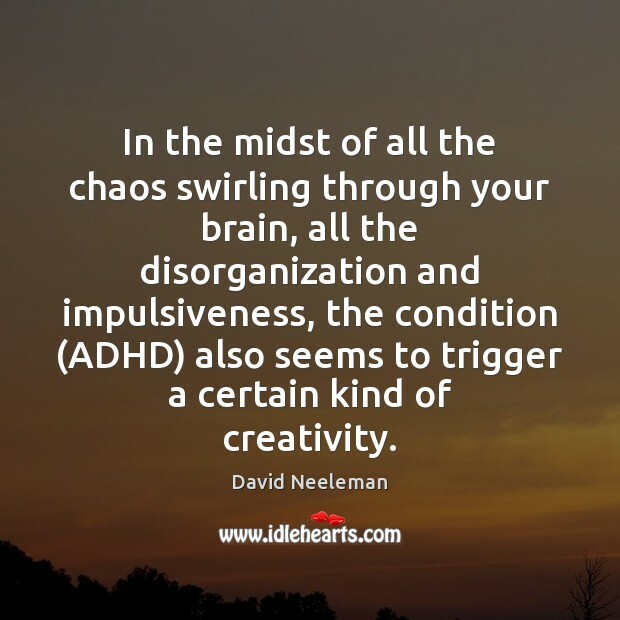 In the midst of all the chaos swirling through your brain, all the disorganization and impulsiveness, the condition (ADHD) also seems to trigger a certain kind of creativity. You're always moving and thinking about a whole bunch of things. 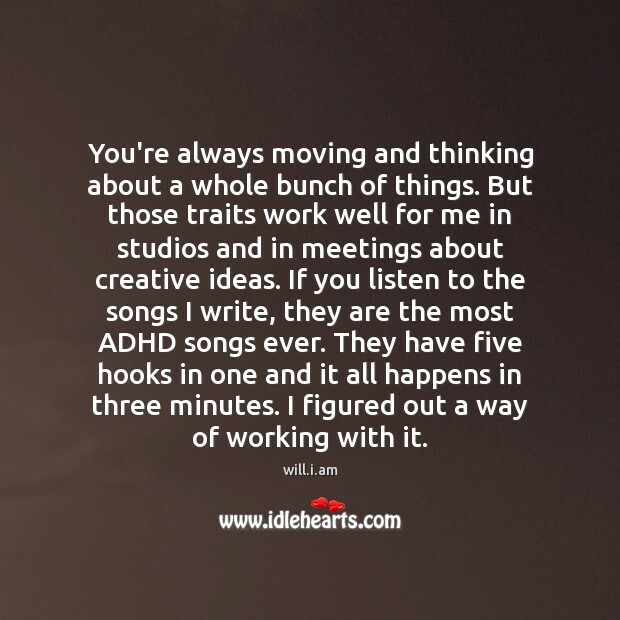 But those traits work well for me in studios and in meetings about creative ideas. If you listen to the songs I write, they are the most ADHD songs ever. They have five hooks in one and it all happens in three minutes. I figured out a way of working with it.